We have extensive experience in assisting a wide variety of high technology companies, including computer hardware, software, electronics, medical technology, and pharmaceutical companies. Analyzed a developer of computer graphics chips to determine if the company was solvent. Valued software licenses for a company that develops mainframe software. Calculated amounts owing from alleged breaches of software use agreements based (i) the actual usage of the software and (ii) the periods involved. Valued a portfolio of patents for technology that enables file sharing and interface between digital camera’s and computers. Valued a portfolio of patents that enabled a new and highly effective method of detecting colon cancer. Valued this same portfolio as it pertained to a new application involving esophageal cancer detection. Valued a large public company that is the leader in interactive television technology. Valued a portfolio of patents that enabled an improved method of manufacturing electronic circuit boards. Assisted a medical device venture to craft a business unit strategy for its optical disc-based testing platform. Created a market assessment for its products in developed and underdeveloped regions. Assisted the Internet Corporation for Assigned Names and Numbers (ICANN) to assess the viability of 44 different business models for introducing new top-level domains similar to .com, .net and .org. – Analyzed the potential market, the revenue model, the marketing plan and assessed the availability of resources to meet the plan. Calculated damages and performed a reasonable royalty analysis for a database and information sales company. Analyzed disputes regarding the continuing business relationship of a software company which facilitates http programming and calculated damages once the relationship terminated. Valued an on-line brokerage services company at various points in time. Analyzed the financial performance of an internet design and programming company and determined the reasonableness of the CEO’s compensation. Performed a damage analysis related to the trademark infringement of an on-line lending company. Analyzed the harm to both parties of a lawsuit if either company were prevented from having a specific domain name. Determined the change in business value if an Internet sales strategy was successful for a wholesale distributor. Analyzed allegations of selling below cost and lost profits for a software programmer/licensor and operator of computerized MLS services for realtors. Analyzed the causes of business failure and calculated lost profits for a programmer and manufacturer of computer communication devices. Analyzed market share, profit contribution and reasonable royalties involving the computer circuitry of a manufacturer of electronic musical instruments. Provided troubled company consulting to a manufacturer of computer communication devices. Analyzed the impact of a new server operating system for an international software manufacturer. Interviewed management of several Fortune 500 companies (i.e. potential customers) to assess the potential benefits within these organizations. The client utilized the information gleaned for marketing purposes and targeted the business officers rather than information officers as a result of our analysis. Assisted a minicomputer and software reseller (VAR) with business plans and projections. Analyzed the business failure and valued the business of a software programmer, licensor and mini-computer reseller. Provided valuation and financial advisory support regarding “iris recognition” technology whose primary purpose was security for automatic teller machines (“ATM”). Analyzed the company’s operations and its market opportunities. Prepared a discounted cash flow model to determine a minority interest in this company. Based upon this knowledge, the client converted its warrants at the specified price and expanded its relationship to other collaborative opportunities. Valued an on-line brokerage business and related technology. Provided discovery and deposition support. Prepared a lengthy demonstrative evidence presentation and related courtroom testimony. Prepared a market assessment and competitive position analyses for smart card technology. Interviewed customers to understand the buyer values and the overall potential impact. Analyzed several different opportunities including a “greenfield” approach and a joint venture opportunity. Performed due diligence in Belgium and valued a minority interest of a joint venture partner. Based on our input, the client concluded other opportunities were more viable. Analyzed the business failure and valued the business of a microcomputer manufacturer. Analyzed the value of existing software of a software programmer and reseller of software services. Valued the entire company of a robotic assembler of printed circuit boards. Performed a market analysis of the software of a software programming and licensing company. Valued certain trade secrets and other intellectual property of an inventor and manufacturer of computerized medical instrumentation. Analyzed the impact of a new server operating system for an international software manufacturer. Prepared a business landscape analysis for a Fortune 500 information technology distributor for corporate strategy purposes. Calculated economic damages, provided discovery assistance, and rebutted the opposing expert’s calculations for a large pharmaceutical and medical distributor firm. Provided litigation consulting for a large electronics components manufacturer. Calculated the value of a product line for purposes of calculating damages. As a part of the valuation, assessed the strategic capabilities of the product line and the future losses associated with the loss of the product. Provided valuation services to a large national computer hardware manufacturer. Valued eight separate entities involved in a merger to properly allocate and distribute new shares in the merged company. Performed strategic assessment of the combined entity and any effects on potential future value. Analyzed certain disputes involving the sale of a subsidiary for a large pharmaceutical company. Assisted the board of directors of a biotech research firm by investigating research grant compliance, shared costs and cost allocations and researching the market potential of certain pharmaceuticals and related valuations. Calculated trade secret damages for an inventor and manufacturer of medical instrumentation. 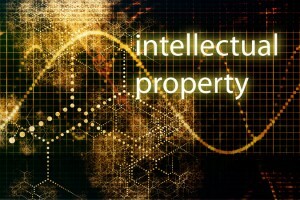 Calculated patent infringement damages for a manufacturer of computerized measurement devices used to deliver pharmaceuticals.